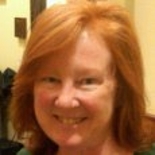 Maureen Leland is the Chief Architect for IBM Connections AppDev, bringing years of experience building tools for developers (Lotus Notes ViP, Domino Designer, and Lotus Component Designer) to the task of creating a true platform for Connections development. She oversees the development of all areas in Connections app development, including the new LiveGrid tool, as well as the APIs, extensions, AppCatalog, and AppRegistry, ensuring that developers in the Connections platform will have a best of breed experience. At home, Maureen is the mother of six sons, attempts to keep five dogs from completely taking over the household, and likes to spend time with her family on Martha’s Vineyard. Maureen has a Bachelor of Science degree in Chemistry from Canisius College in Buffalo, NY, and a Master of Arts and Ph.D. Candidacy in Theoretical Chemistry from Boston University, Boston, MA.